Susie Larson's biblical blessing posts have become enormously popular on Facebook. 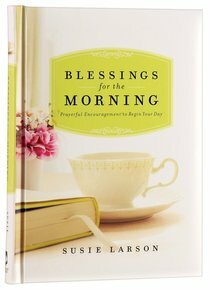 Now, this gift book presents her insights in a convenient devotional format, encouraging you to start each day with a reminder of God's loving purpose. About "Blessings For the Morning"